surround TableGreat attachment to the Griddle, Easy to Install, Makes the Cooking Fun Even Better !!! Like the size and stability of griddle. I also purchased the table and I feel that it is quite unstable. The outside frame that surrounds the griddle it self that also supports the table is not screwed to the frame and seems to wobble. When you put a hand on the table the frame comes out. Unless I missed something there should be a bracket attached to all 4 brackets then the table would be stable. Love my BlackstoneHi...it looks awesome, but I have a 28" Blackstone Griddle! Any thoughts of making this product for the 28"...please? Thanks! 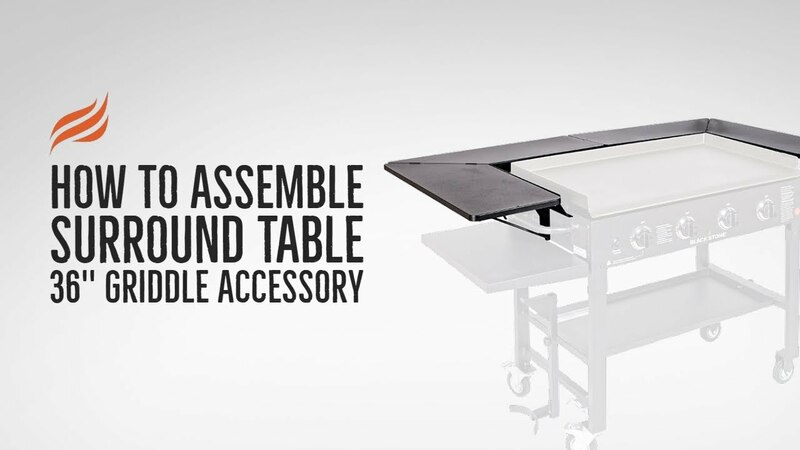 36" GRIDDLE SURROUND TABLE ACCESSORYSturdy, easy to install with instructions provided, and well-engineered without problems with fit!